Feeling the pull to simple country living but you’re stuck in town? 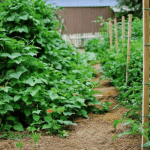 Here are 30 homesteading skills to build while you’re homestead dreaming! When the homestead bug first hit us we were already living on a couple of acres and could dive right in, but that’s not the case for so many who are feeling that pull to simple country living. 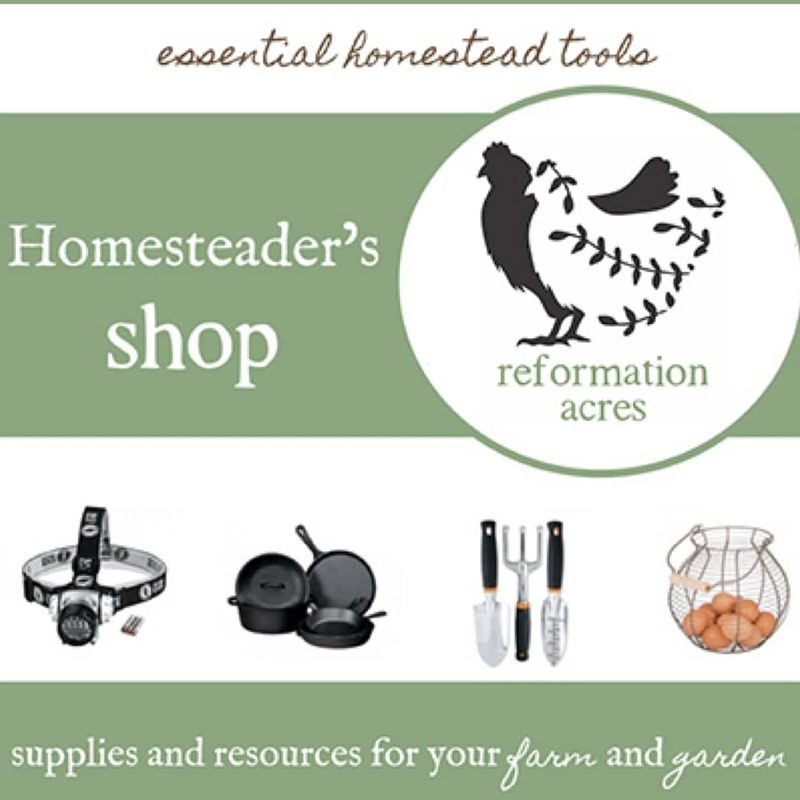 You may not realize it, but that is a great time to start building homesteading skills- even if you’re in the middle of the city! There are so many different “self-sufficient” homesteading skills that I would love to learn but since learning takes time, something which is more precious than gold to me, I’m unable to gain, practice, and perfect that knowledge. 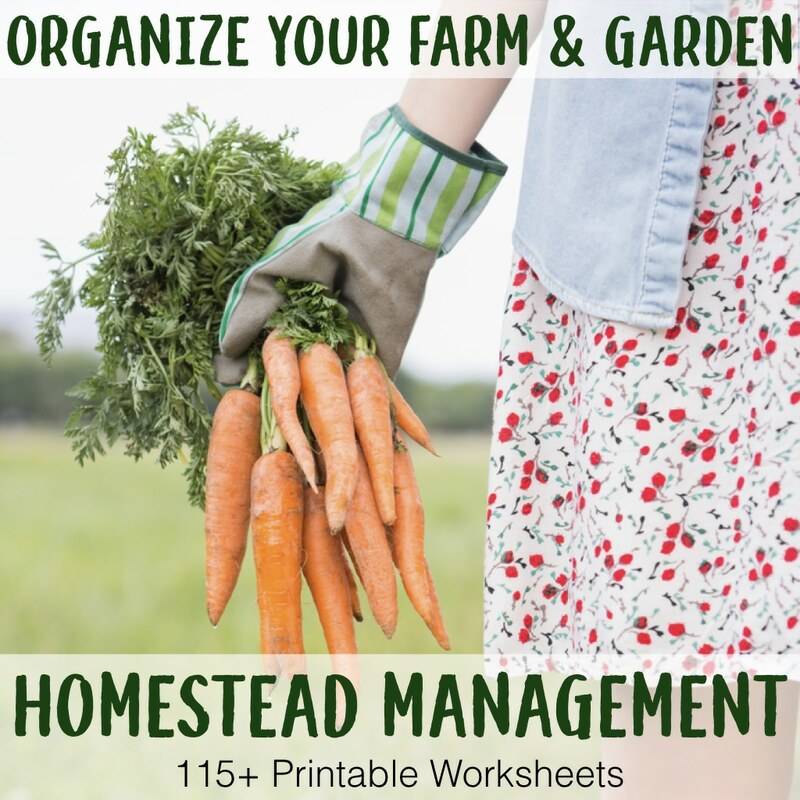 Use this time when you don’t have farm chores or a bumper harvest to put up to slowly work toward gaining those homesteading skills that will be so beneficial to you when you do finally make it to your piece of land! Depending on where you live, storage issues for large quantities of whole grains or freshly milled flours might be a challenge, there’s nothing that says you have to grind whole grains 50 pounds at a time. Even grinding grains a few pounds at a time and storing the extra in a gallon bag in the freezer will make the most nutritious, high-quality flour you can bake with. Freshly baked bread is economical and frankly, it tastes better than store bought bread. The flavor and texture are so delicious. There is nothing like a warm fresh slice slathered thickly with butter. Once you’ve learned to bake your own bread, it’s only a matter of time until you contemplate capturing wild yeast and creating homemade sourdough recipes with it. You’ll feel so self-sufficient! A vital homesteading skill to know is what to do with your bounty once you have reaped it. With all of the gardening and animal husbandry homesteading skills you’ll be learning in the future, now is a great time to build a collection of recipes that your family will enjoy. Purchase local, fresh, seasonal foods and learn to ferment them while you someone else is doing the farming instead of when you also have all the garden tasks and harvesting that need attending to on top of preserving the harvest. You don’t need to wait until you have a Jersey cow to make homemade butter. All you need is a bit of cream to see the magic happen as the thick white liquid turns into a golden ball of butter. Dabble in home cheesemaking by starting with some simple soft cheeses. They don’t require too many extra ingredients, lots of prep time, aging, or special equipment, but give you the experience and confidence you need to dig deeper in the future. 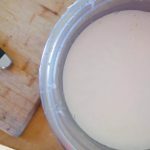 Homemade yogurt tastes better, has no artificial ingredients, and is a very frugal alternative to store-bought yogurt. Plus it’s not really too much trouble to make- mix it, warm it, culture it, and incubate it. That’s it! Cultivate your green thumb, learn indoor seed starting techniques, and learn to cook with fresh herbs by growing a few pots of your favorite on a windowsill. Traditional, less processed fats such as tallow and lard are among the most sustainable ones that we in America can use in that the dollar value of gasoline to get them into our homes in negligible compared to the other healthful, less processed oils shipped from the other side of the world and that otherwise they are a waste product. Plus, you’ve never had fried chicken till you’ve fried it in tallow. 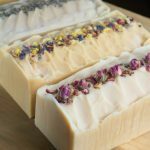 Soap making is frugal and fun (after you get over the fear of working with lye. 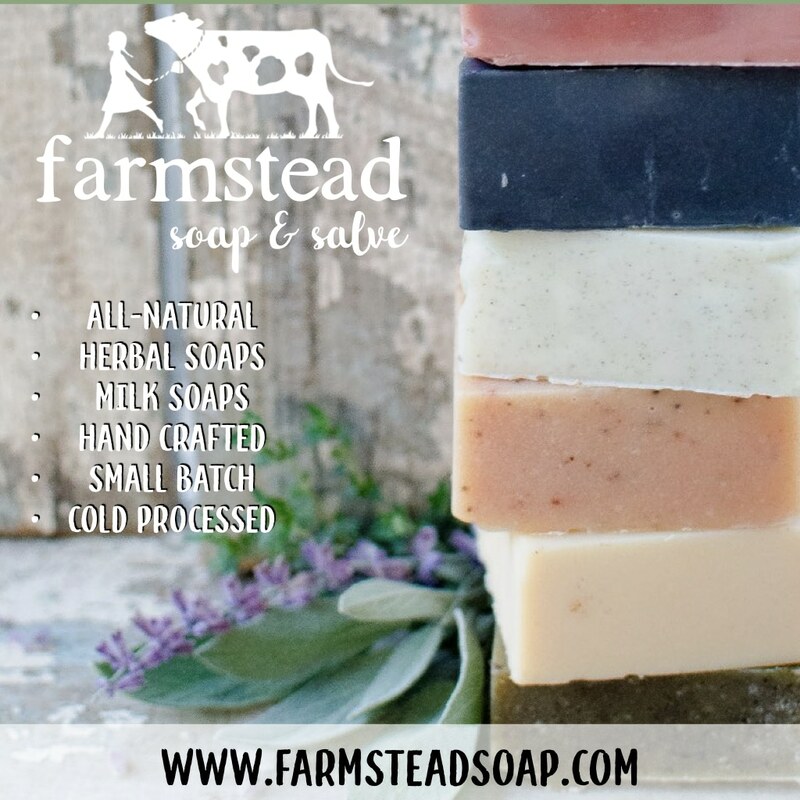 Once you’re set up you can make 10 bars of soap for the price of one. Not to mention it cleans better and you know exactly what is going into your soap that will end up on the largest organ of your body, your skin. I save so much money making my own vanilla! And it is so easy to the point of being ridiculous. Seriously, once you do it, you will never (ever) go back to buying it again. I buy my vanilla beans here. Don’t wait until you get to the farm to hone scratch cooking skills. Meal disasters will create chaos in the home at mealtime and throw off the rest of the day. Learn to prepare the foods you plan to grow and raise now so it’s nearly effortless later. Go through your pantry one box at a time and learn to replace those packages with homemade food. I personally believe learning to cook from scratch is one of the most valuable homesteading skills! This is a stretch for so many of us (even who homestead already, believe it or not!) While you might not make it for several weeks, every now and then plan a week where you won’t buy any food from the grocery store for a week to practice being frugal and creative in the kitchen. After all, if you end up living in the country you’ll have to practice it more often than you might expect when you find something out of stock that you needed for dinner and the nearest store is a 40 minute (or more) round trip away. Cast iron cookware is a farm wife’s favorite. But there is a bit of a learning curve when you first use it. After my early attempts, my first skillet sat in a cupboard for years. Once I learned the knack, I use cast daily. Proper care will make your pans a family heirloom. After I began homesteading, I was surprised to learn just how many of the recipes in my cookbook called for “chicken breast.” What would I do with the rest of the bird? After you invested so much in raising your own meat, you’re certainly not going to waste a single bit! While most of my recipes now call for a whole chicken, there are some that still only call for breast meat. When there are only whole chickens in the freezer, you’ll need to learn how to cut them into pieces. We live in a wasteful world. Be mindful of how much you consume and dispose of. It will help you live a more frugal, uncluttered life now, and when you get to your homestead, you will have created habits that will help you use your excess food to decrease your livestock feed bill or create soil with your compost pile. Creating homemade medicine with herbs is often just as powerful and effective as modern medicine. More than that, it is empowering to take charge of your health with using herbs, roots, and flowers that the Lord has created with healing properties. It won’t be long after you start living a more natural lifestyle and making more conscientious decisions about your food that you’ll start contemplating the ingredients in your skincare products. (Hint: They’re loaded with harmful chemicals.) 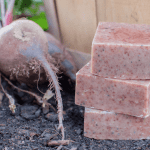 Learning to make homemade lotion, deodorants, makeup, and more is something you can do now instead of when you’re learning the ropes on your farm. Making your own homemade cleaning products saves you money in a big way! Compare a bottle of window cleaner at $4 to the homemade version that works just as well at $.04! You can find a plethora of excellent natural cleaning recipes to try including homemade laundry detergent. 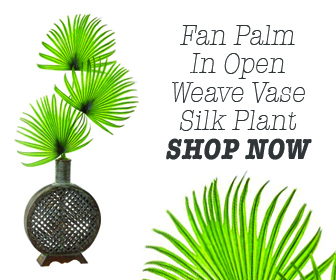 From socks, to scarves, to hats, blankets, quilts and more, having a basic grasp of these handicrafts is not on therapeutic and relaxing (in my opinion at least), but it allows you to create useful, attractive, and functional gifts for your family. Baskets have many uses on the homestead and most that you’ll find are decorative. Making your own is a great way to get functional products for your future farm. They’re fun to make and the children really enjoy helping learn the new skill. What on earth does thrift shopping have to do with homesteading skills? Plenty. Not only does thrift shopping fit in with the frugal lifestyle that will help you achieve your homestead dream more quickly, but let’s face it, when you get to the farm, things don’t stay nice and clean long and it is a lot easier to take when you found a great deal. I’ve learned over the years that between the mud, manure, blood, grease, sweat, and rips, clothing on the homestead doesn’t last long. Sometimes not more than a season. You can still find attractive (even new!) clothes at a thrift store and it’s not so upsetting when you only parted with a few bucks for the shirt instead of $20 or more for a new one. If you dream of making your own homemade brews, there is no need to wait until you have homegrown produce to learn the process. Learning homebrewing can be done anywhere and then when you get to the farm you can concentrate on the growing. We live in a culture that values education, yet many of us don’t ever really learn how to learn on our own. When we’re talking about homesteading skills that have been lost over the generations, there aren’t many teachers available for us to glean from. Thankfully, that is changing in many parts of the world, but for many, we’re stuck learning on our own. And thankfully, there are many who are sharing their knowledge, albeit not in person or a real classroom setting, but it’s knowledge we can avail ourselves of none the less. After we study up and gain the head knowledge, it’s time to put what you’ve learned to practice. For those who desirous to build our homesteading skills set, but lack the mentors to guide us in the right way, there will be days, weeks, sometimes months of trial and error until you finally bake that beautiful loaf of sourdough you’ve been dreaming of. One of the hardest lessons to learn is how to experience failure. And then stand right back up, brush yourself off, and get your hands dirty all over again. It’s probably one of the most vital homesteading skills you’ll need on your future homestead. What homesteading skills are you working to build? I tried making bread, cinnamon rolls and I always end up with a finish product that taste yeast. How do You make bread without having to taste the yeast in it? Quinn, this is such sound, encouraging advice. The only skill I brought to our 8 acre homestead was canning, but that first summer bringing in our garden harvest, I was SO grateful that I wasn’t trying to learn how to can at the same time. I would have been completely overwhelmed. If I could go back I would certainly cultivate a few of these skills you’ve listed prior to our move. I do encourage my friends in the city who dream of a country life to get chickens (it’s legal in our city) because having chickens “figured out” will certainly give you a head start. I think for me now, I will use this list as ideas for skills to work on in the winter when things are somewhat slower around here. I read your blog back when we were on our city lot and you were on “just a couple of acres”. You have been very inspiring to our journey. You strike just the right balance of beauty, information, and humility in your writing and photos. Thank you so much for sharing your heart and life with your readers. Thank you so much for sharing both your kind words and your experience Kara! Winter is a fantastic time to work on skills building. The farm definitely has a much slower pace during the cold months and I love to use the time to do extra reading and learn a new thing or two. Blessings! Love this! I, too, am planning to work on building my skill set for the spring. We bought our place at the end of May and had a crazy busy summer with lots of ridiculous things happening, trying to fix up our house and get moved in, etc. We got a garden in and got some food put away, and kept 3 of our 8 chicks alive into adulthood but that’s all so far. Looking forward to the future. I’d love to hear more about your journey of starting a homestead from scratch! Love this article!! I think this is a wonderful idea. I don't own my home, we live on a ranch my husband works on, but I still do as many of these things as I can with what I have–while dreaming of having our own place one day! thanks! Great list!! I was pleasantly surprised at what I do already know how to do and thinking forward on what I do need to learn! We start our homestead in July! Cutting up a whole chicken? Roasting a chicken and making gravy? Kind of sad that these aren’t considered basic common knowledge for every adult. I would have thought most of us could do this by age 12 or 13. People are here because they are interested in learning! I think part of the reason people don’t bother trying to learn is because of those who belittle and mock them for not already knowing. Not everyone grew up on a farm or in a home where skills like this were taught. The average 12 year old doesn’t even know this is a thing to try and learn. I can do those things, but I can’t do everything on this list, and that’s okay. Maybe there is something you can’t do, too…all we can do is learn. Everyone is different. I have been sewing and gardening since I was about 6. I can knit, bake bread from scratch, make all sorts of homemade beauty products and produce a tasty, healthy meal from an apparently empty pantry and the contents of my tiny garden, but I have only once cut up a whole chicken, and never roasted one, as I don’t eat much meat. It’s on my to-do list now though, thank you! Still, I don’t consider myself hopelessly unskilled at the age of 27. Guess so. Once upon a time, most people grew up rural or had grandparents that were – definitely the exception today. Even rural is not the same as it was 40 years ago as it is often more “suburban” than truly rural. So excited to dive into your blog! This list was the perfect introduction <3 So many things that I love to do already ex: canning, using the whole chicken and sewing but so many more skills to hone ex: soap making and baking my own bread! I am looking forward to learning more! Thank you! This is such a wonderful list to help those who are either waiting to fulfill their dream or for those to be able to learn if the lifestyle is right for them. Also I love and agree with the comment about how some people did not learn certain skills growing up and how that may hinder their willingness to learn out of fear of being ridiculed, my advise is if you know of someone who can teach you something and you have the willingness to not only learn but the willingness to show that you will use your newfound skills then people would be more than happy to teach you. I totally agree with everything on your list, however I would like to add the following if that is alright. -After you have learned new skills use those to barter for things you may need or to learn more skills. Some may not agree with me about hunting , fishing, and foraging however those are good skills to have and may even help out once you start to homestead and have a bad year with not enough crops coming in due to drought or any other reasons or if you need to fill your freezer with protein for times that you may not have enough meat butchered from your farm. Also shop for produce at your local farmers market that way you will learn how to shuck corn among other things not to mention most produce sold at local farmers markets are grown using organic methods, however ask if they are heirloom varieties (heirloom=gmo free) that way you will save money on gmo free organic produce while picking the brains of the local vendors. You will learn that most of us local vendors are very helpful and are willing to share what we know with others. I sometimes print out instructions on how to make homemade preserves, jelly, and jam and give them out to those who are interested, along with some instructions of how to make homemade from scratch fried okra. I love that I have found your blog. I have been learning many of these things and though I don’t use them all regularly because I am working full time, I use them enough to feel familiar with them. We have just bought a small acreage, but there is no house/garden etc yet so we won’t move there for a few years. I will enjoy transferring them to be a daily part of my life and great to know I am selecting the right skill set!! 🙂 Looking forward to reading more. Congratulations on your new land Deborah! So happy for you! I heard a guy talk once about living off grid and survivalism I think it was. He made the point that he learned how to live without many modern conveniences (such as electric lighting) so he was familiar with what he would need to do in a crisis, but then went back to using lights until if/when a crisis actually happens.